One step inside this sleek, cool and narrow South Loop bar and you'll be convinced that the M stands for mellow. Plush velvet chairs, slick leather couches, a soft jazz soundtrack (live, and free, on Tuesdays and Wednesdays) and easygoing cocktails like the Orange Crush martini attract locals of every type–except for those who can't keep their cool. El stop: Green, Orange, Red to Roosevelt. Bus: 1, 3, 4, 12 . Chic, mature ambiance with a fun-loving and eclectic clientele, this spot offers everything I need for entertainment and unwinding - from live jazz to an awesome DJ and networking events! - doing it all with great drinks! Great spot for relaxing at the bar and gathering with friends. 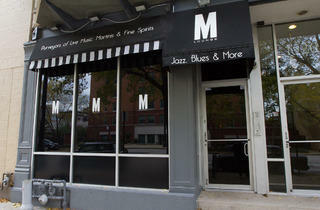 M lounge is the place to be in the South Loop. Great customer service, the ownership is down to earth, and the drinks are exceptional. On any given night, I know I can come here have a drink in a relaxed environment. 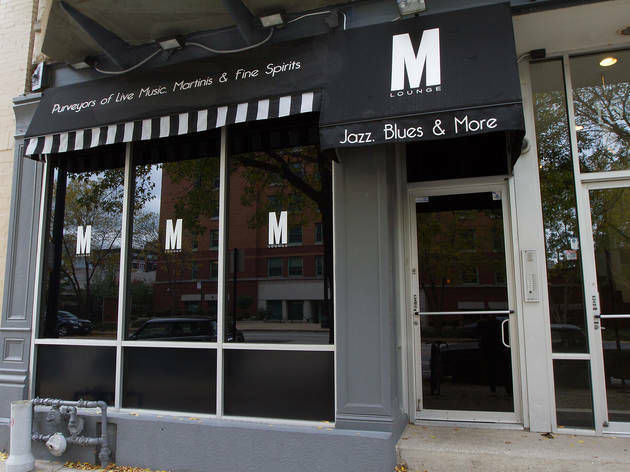 The M Lounge has always been a safe, entertaining, tranquil establishment catering to upper-class clientele, the place to be and feel welcome. welcoming, comfortable, gracious staff, good drinks, good company and of course, Great cocktails! The owner is an amazing guy. He helps bartend when he notices his staff becoming overwhelmed. He is not beneath anything. I also enjoy the different talents. Love this neighborhood hot spot. Love how the owners and employees treat everyone kind and with respect. Always a lively and happy group of professionals. There is always some excellent live entertainment. You will love this quaint and cozy lounge. Thank you M Lounge! This is a great place to hang out with friends! Free live music during the week is great, but you can hear yourself talk on the weekends. Ordering from my favorite neighborhood delivery spot is always allowed and the ambiance, while luxe, is still laid back and casual.